Published Yellow Pages directories continue to be a source of reference for consumers who are ready to make a purchase. With Yellow Pages directories in circulation in the hundreds of millions, “pay-per-call” advertising can prove to be both powerful and cost-effective. Target + Response specializes in designing Yellow Pages pay-per-call campaigns that work. Eligible direct marketers pay only for leads, and NOT for ad placements. With a Target + Response’s Yellow Pages campaign, your four-color ads will be featured in premium position, and placed under highly-targeted headings. Yellow Pages are distributed throughout the United States, optimizing your cost-efficient sales leads from interested consumers. Target + Response helped to introduce the pay-per-call advertising model to the Yellow Pages industry. As a result, we have formed partnerships with all mayor Yellow Pages publishers, who not only distribute nationally on a large scale, but also target small and ethnic markets. Yellow Pages pay-per-call advertising has a strong track record for national direct marketers who participate in it, having considerably increased their overall sales lead volume. Is Pay-Per-Call Yellow Pages Advertising Right for You? Generating more qualified sales leads only leads to more sales. Target + Response can offer you high-value national placement with Yellow Pages that makes your phone ring. low maintenance, high volume, cost-effectiveness. 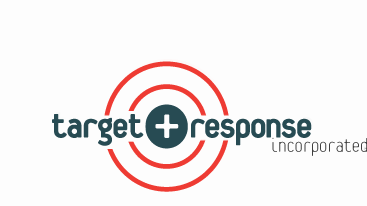 For over 25 years, Target + Response has specialized in generating qualified sales leads for direct marketers at a fixed cost per lead. Contact us now to find out how we can generate sales leads for you.